Many home building experts have often referred to the windows as the “eyes of the home”. They allow in light, fresh air and introduce the interior to the panoramic views of the outdoors. But more importantly, windows add character to a building and gives it its individuality. There are different types of windows. From Casement windows to Bay windows, Box windows and Sash windows, there are several options you can choose to define the character of your home. In this piece, we’ll be discussing what you need to know about sash windows. Sash windows usually consist of two movable panels; these are the ‘sashes’. The most common sash windows in buildings are the ‘Sliding Sash’. It features two sashes that slide up and down; one in front and the other behind, balanced by cord drawn lead weights. More contemporary sash windows have replaced the weights with multiple strings. A sliding sash window can be opened at the top and bottom, or both ways. Typically, they are built without an outward swing, but some modern designs are capable of tilting in and out. The origin of the word “Sash” is French, meaning frame. It does explain why the ‘sash’ in sash windows is used to describe a single frame for glazing. Traditional sash windows have small panes attached together by glazing bars to produce a wider glazed area. Are you fond of period styled homes? Use sash windows to create the character you want. They are a central part of the British architectural history. Since the 17th century when they were introduced by the French, Sash windows have been considered extremely fashionable. As a result, they are used to develop homes from various eras of British history; from Victorian to Georgian and the Regency periods. If your home is styled to any of these eras, then installing a sash window could enhance the historical essence of the property. 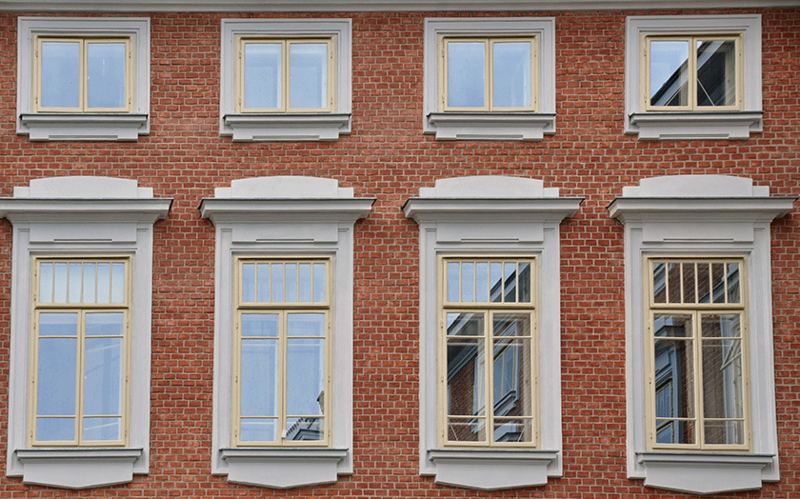 What benefits do sash windows offer? Even if you are not going for a traditional feel, you can still enjoy the practical advantages a sash window has to offer. When they are maintained and sealed correctly, sash windows are ideal for controlling aeration and flow of air through the interior of any property. Sash windows are also extremely secure because they can be locked in an ajar position. This means you can still enjoy an open window without bothering about burglars. A second reason is their glazing quality; sash windows are often designed to have several small glazing panels. It is not possible for an intruder to enter through a broken window or a damaged glass pane with the glazing bars still in place. What are the disadvantages are associated with sash windows? Sash windows often require regular care and maintenance to ensure they are in good working conditions. However, if they are damaged, they can be repaired easily. Timber sash windows easily rot because of flaking paint. But you can avoid this by regular maintenance and contemporary paint finishes. Traditional sash windows usually suffer frayed and broken cords, which render the window immovable. The good thing is that they can be fixed without completely replacing the window. Traditional sash windows are quite difficult to clean, but the tilting function of the modern ones automatically corrects this problem. If you want your windows to work well, it is important to fit them properly. Most times, you’ll be fitting the windows into a brick wall, it is therefore essential to have professionals do it for you. Sash windows have the ability to transform your home in many ways. With the right style and the experience of a window professional, you can give your home the attractive period look it deserves.